Jellycat Baby Puppy Milestone cards make a wonderful new baby gift. 24 printed milestones make sure you won't miss a single one! 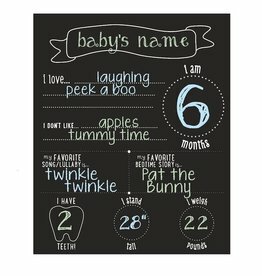 Trendy and fun, our reusable All About Baby Chalkboard lets you customize and capture your little pearhead’s monthly highlights. Celebrate baby’s first year with Pearhead’s baby’s memory book and sticker set. 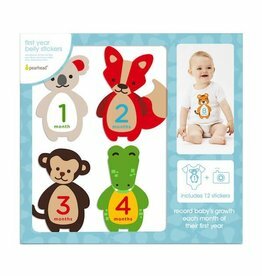 includes 16 belly stickers, one for each month of baby’s first year plus a few bonus stickers! 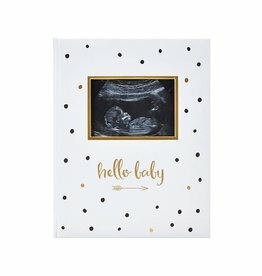 Say hello baby with Pearhead’s babybook. 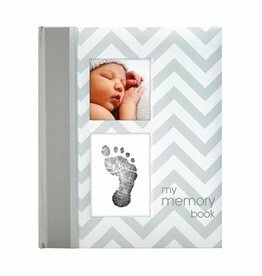 This modern, black and white baby book includes 48 fill-in journal pages to record all of baby’s moments. The Pearhead Babybook in Blue Chevron has lots of space to record all of your baby's first-year milestones. 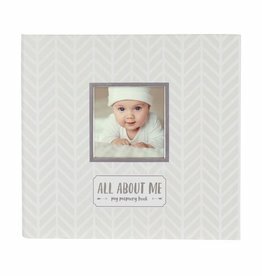 The Pearhead Babybook in Grey Chevron has lots of space to record all of your baby's first-year milestones. 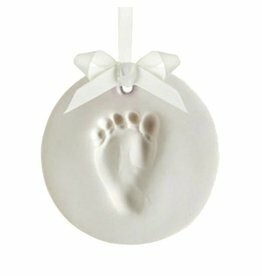 The Pearhead Babyprints Keepsake Ornament in white is a beautiful way to record your baby's hand or footprint in 3-D! Remember how little their piggies were with the Pearhead babyprints tin. This adorable, do-it-yourself keepsake is easy to make and 100% baby safe. 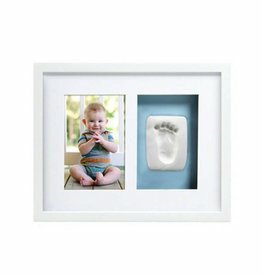 The Pearhead Babyprints Wall Frame in white has everything you need to record a photo of your baby, along with their footprint or handprint. The Pearhead Belly Casting Kit is a beautiful way to remember your baby bump in 3-D! Everything needed is included to create this beautiful keepsake. 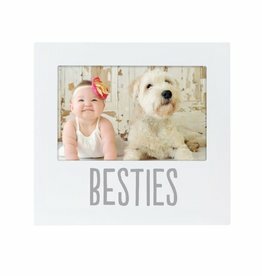 Pearhead "Besties" sentiment frame makes it simple to proudly display an adorable photograph of your little angel (and their bestie) for all to see. The Pearhead First Year Belly Stickers in blue are a fun way to document your baby's first year in monthly keepsake photos. 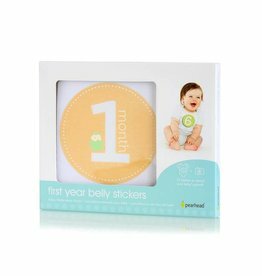 The Pearhead First Year Belly Stickers in neutral are a fun way to document your baby's first year in monthly keepsake photos. 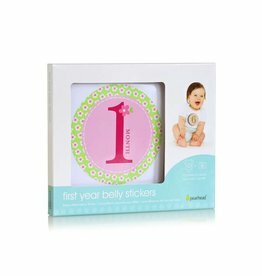 The Pearhead First Year Belly Stickers in pink are a fun way to document your baby's first year in monthly keepsake photos. The Pearhead First Year Felt Belly Stickers are a sweet way to document your baby's first year in monthly keepsake photos.